MRM’s Daily Bite features PlantPure Communities (PPC) Restaurant Campaign, Ordermark, TGI Fridays, Foodservice Packaging Institute and North Island College and McDonald’s Canada. 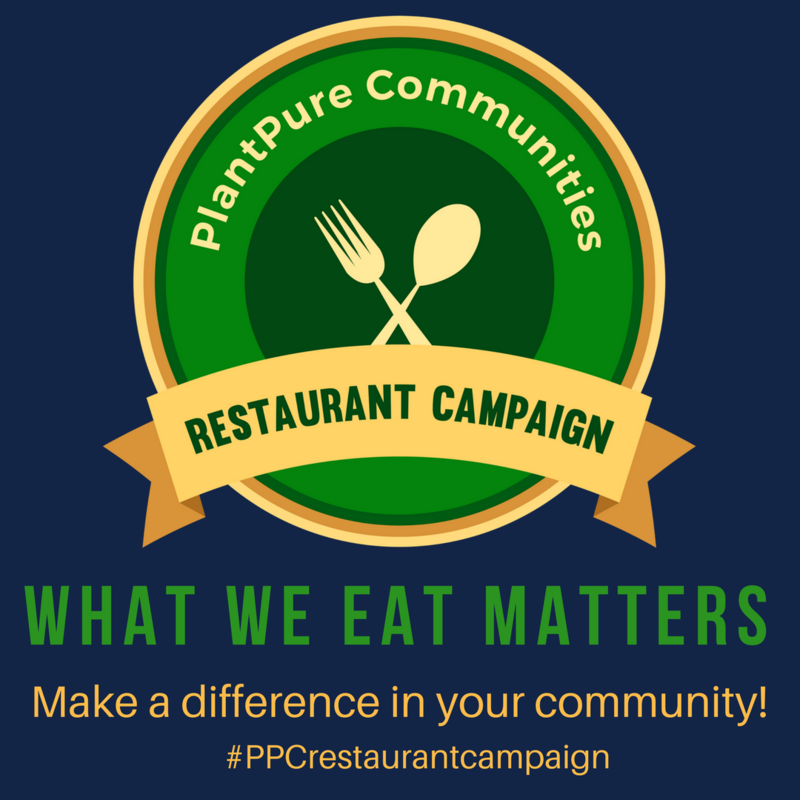 With more Americans seeking out plant-based alternatives, it’s no surprise that the launching of the PlantPure Communities (PPC) Restaurant Campaign has more than a dozen restaurants across the country already signed up to participate. 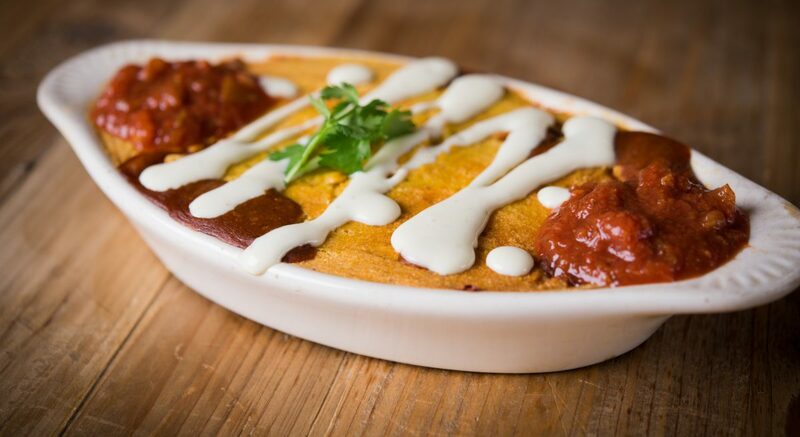 The campaign’s goal is for every restaurant across the nation and the globe to offer on their menu at least one plant-based meal with no oil. The Restaurant Campaign is supported by a virtual Toolkit on PPC’s website which offers resources for restaurant owners and managers, as well as local residents who are inspired by the Campaign to promote change in their neighborhoods by going restaurant-to-restaurant. Restaurants who achieve the meal standard are eligible to receive a Certificate of Participation from PlantPure Communities that they may display on the premises. Already, restaurants in California, New York, Florida and Virginia have made changes to their menu and are participating in the Campaign. To find out more, click here. Many restaurant owners struggle to decide whether to offer third-party online ordering and delivery services from companies such as GrubHub, DoorDash, and UberEats. They wonder whether the cost of these services is worth it and whether new profits can offset the additional effort and staffing required to manage these online orders. 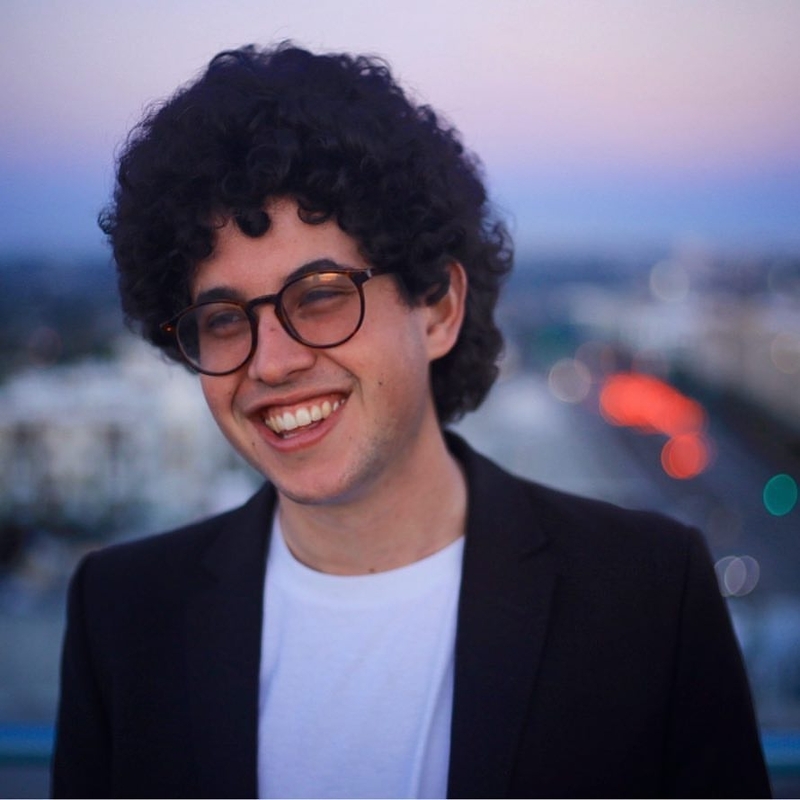 A new company called Ordermark, founded by Alex Canter, the fourth-generation owner of the world famous Canter’s Deli in Los Angeles, wants to help restaurant owners better understand and profit from online ordering. He experienced all the challenges of using third party ordering services when the deli first began partnering with them in 2012. One of the biggest challenges they faced is that each service provides a tablet computer that displays incoming orders, which can be difficult for staff to monitor. Having so many different tablet computers often results in missed, inaccurate and unfulfilled customer orders. And the staffing cost to manage so many different systems can outweigh and gains. After several years of experimentation and trial and error, Canter managed to grow online ordering to account for more than 30 percent of Canter’s Deli revenue. In the process he created a technology solution consisting of one tablet that consolidates online orders from all of the third-party services partnered with the restaurant. Canter also partnered with Epson to build one printer that will display tickets every third party ordering service. Ordermark now serves over 100 restaurants around the country from mom and pops to large chains. In addition to technology, Ordermark also provides a dedicated Restaurant Success Manager that serves as the restaurant’s single point of contact for all online ordering services. This individual handles all logistics, negotiating rates with third parties, menu updates and technical support. TGI Fridays guests are now able to place an order or make a reservation using just their voice. Fridays designed and developed an Alexa skill that is rolling out nationwide and allows users to quickly make reservations, place a To-Go order, and even pay their bill. With the Amazon Pay integration, Alexa customers can easily use the payment information already in their Amazon account when they want to place their Fridays order. Fridays take-out sales have grown by 30 percent since launching online ordering in 2016. With the launch of the new Alexa skill, users can place and pay for their Fridays order using Amazon Pay on their Alexa-enabled devices, including the Amazon Echo and Echo Dot. In addition to the new capabilities through Amazon Alexa, Fridays offers several ways for guests to place an online order, including an easy re-order option on the Amazon app, a “chatbot” on Facebook and Twitter messenger, or the “order now” button on Facebook. 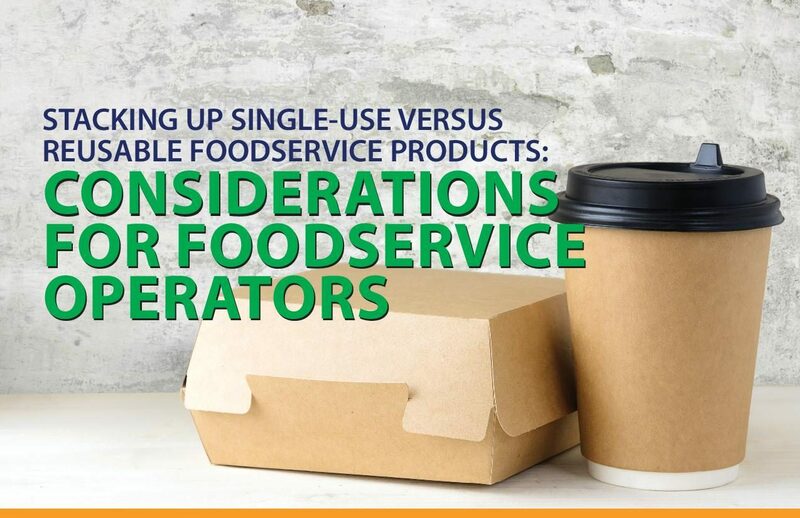 Foodservice operators have to weigh the options of single-use versus reusables, and there are a number of criteria they can base that decision on, but the Foodservice Packaging Institute is making available a new resource that breaks down this decision-making concisely, and why single-use makes the most sense cost- and sustainability-wise. 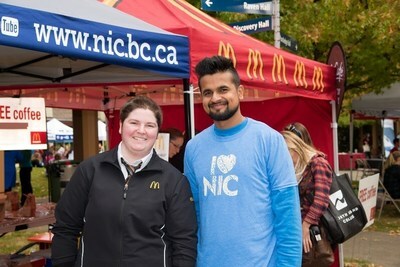 North Island College and McDonald’s Canada are celebrating a first-of-its kind agreement on Vancouver Island, creating new ways for McDonald’s restaurant managers to access a business degree. Students can now receive up to 20 percent of their NIC Bachelor of Business Degree credits when they complete their McDonald’s Management Training Courses. NIC is now accepting applications into its business degree from managers who have completed courses in the McDonalds Management Development program. Sawyer has worked at McDonald’s since he was in high school. The last five years have been in management – as a second assistant after graduation inPort Alberni and now as a part-time swing manager in the Comox Valley while he works toward his degree. The new pathway was officially unveiled today, at a launch event at the McDonald’s restaurant at the Crown Isle McDonald’s in Courtenay, BC. The new pathway partnership is also in line with McDonald’s Canada’s organizational culture and values, which focuses on supporting educational opportunities for its staff.